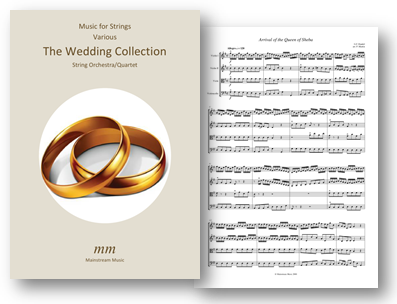 Twelve of the most popular and widely chosen wedding pieces in one collection, arranged for string orchestra/quartet. At just £24, the price of the collection represents a huge saving against the cost of purchasing the twelve individual items listed below. Click on the links below to view and listen to each score on You Tube. Download a free album, containing full recordings of all twelve arrangements, here.